October may be my favorite month. We’re in a good routine. There are no major holidays to schedule around. The weather is pretty much perfect. And anywhere I drive around our home in rural PA reminds me why I love living in rural PA. Here’s my October to-do list, filled with lots of my favorite things in my favorite month! Eat candy corn and salted peanuts. I believe 3 peanuts to 1 piece of candy corn is the perfect ratio. Keep up with 31 Days of Books for Writers on my editing site. Paperwork, home study, paperwork, paperwork, fundraiser, paperwork—all with the picture of our son in my mind. Figure out the audio book app my library uses. I’ve attempted it before and failed. May have to ask for help from the library big-wigs instead of the volunteer ladies at the front desk. Read lots and lots of posts from those participating in The Nester’s series. A few I’m especially excited about: 31 Days of Quotes about Creativity, 31 Days of Living Well, 31 Days of Adoption, Make Learning Fun, 31 Days of Blessed Chaos, and Living In Between. IEP for James! First one with his new teacher and team. If/When the government shut-down ends, we’re heading to the zoo in DC to celebrate David’s 8th birthday. Read A Million Little Ways, Free to Learn, East of Eden, and The True Secret of Writing (affiliate links). Mail out copies of Held to bloggers. Continue to dominate my fantasy football league. I’m 4-0 with the highest point total. Wonder if I’ll end the month in the top spot? 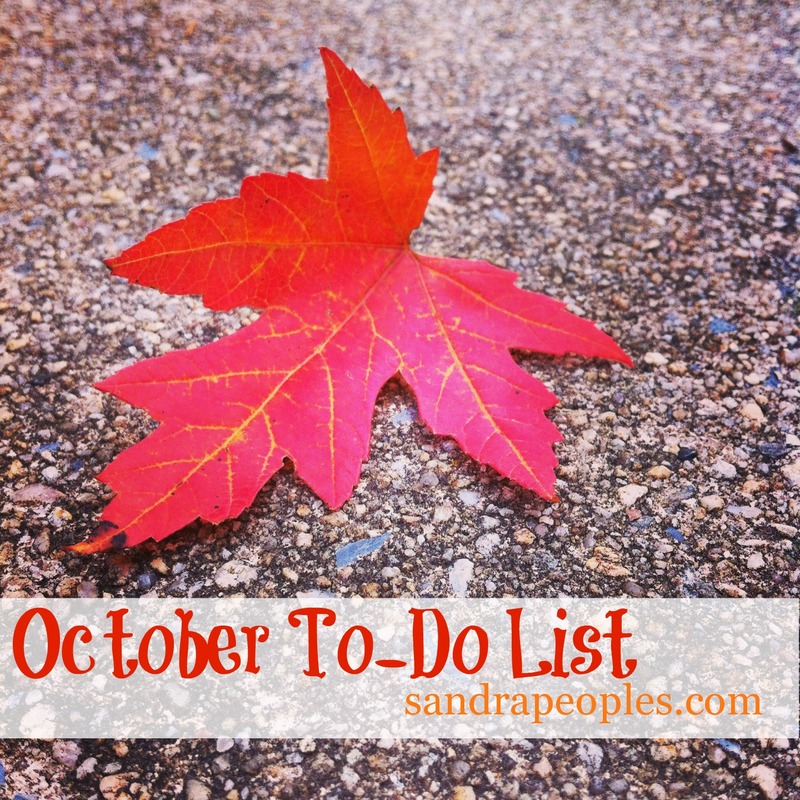 What are you up to in October? I am falling in love with October, big time!!! Honored to be listed in your especially excited to read category!! !